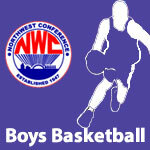 February 2015 – NWC-Sports.com | The Official Site of the Northwest Conference for nwc news, nwc scores and more. 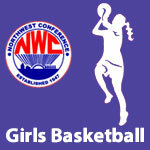 Ada senior Tori Wyss was selected as the 2014-15 NWC Player of The Year in voting by Northwest Conference girls basketball coaches. In a close vote Wyss received 117 of a possible 120 first place points to earn POY honors over Crestview senior, Lyndsey Motycka (113 points) and Crestview junior, Emily Bauer (101 points). Wyss averaged 15.6 points, 5.0 rebounds, and 2.2 assists per game in leading the Bulldogs to a 7-1 conference record and second place in the NWC. In conference play, Wyss averaged 18.1 points per game helping the Bulldogs to improve upon last year’s sixth place conference finish. Wyss, Motycka and Bauer were joined on the NWC First Team by Columbus Grove sophomore Jade Clement and Lincolnview senior Julia Thatcher. Greg Rickard, who led Crestview (8-0) to the school’s sixteenth NWC girls basketball title was selected as the NWC Coach of the Year.